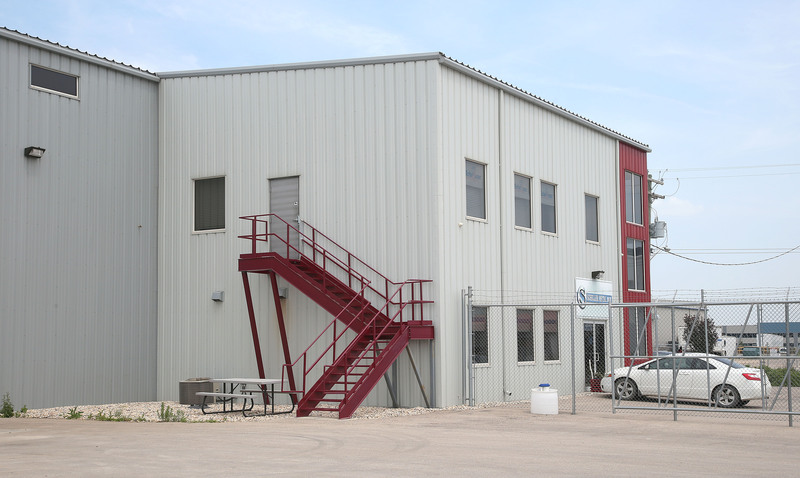 Scheller Metal Fabricators manufactures custom metal products, with a team comprised of highly skilled fabricators and welders. They are ASME Boiler/ Pressure Vessel Certified, CWB Certified and ISO 9001:2008 Registered. 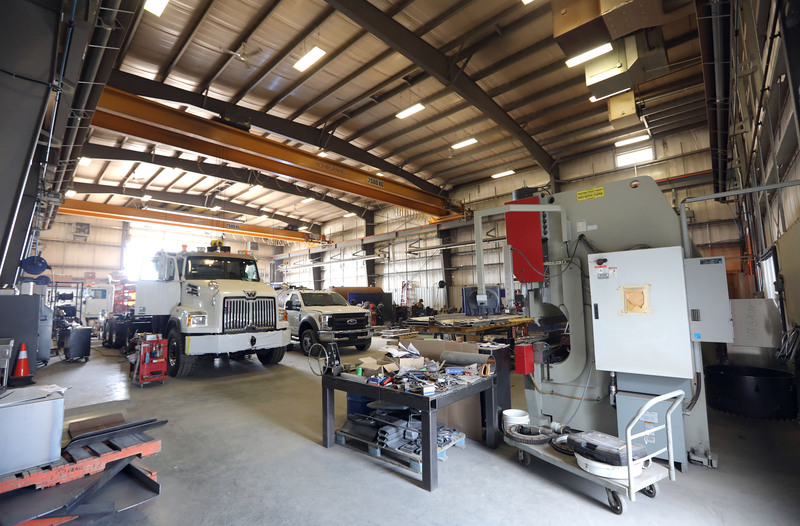 Their new building includes a 8,160 sq.ft shop equipped with a 7.5 tonne Kone crane and 20’x24’ overhead door to accommodate their large scale welding projects. This building was also design with expansion in mind so we installed an expansion frame on the west end of the shop for future development. 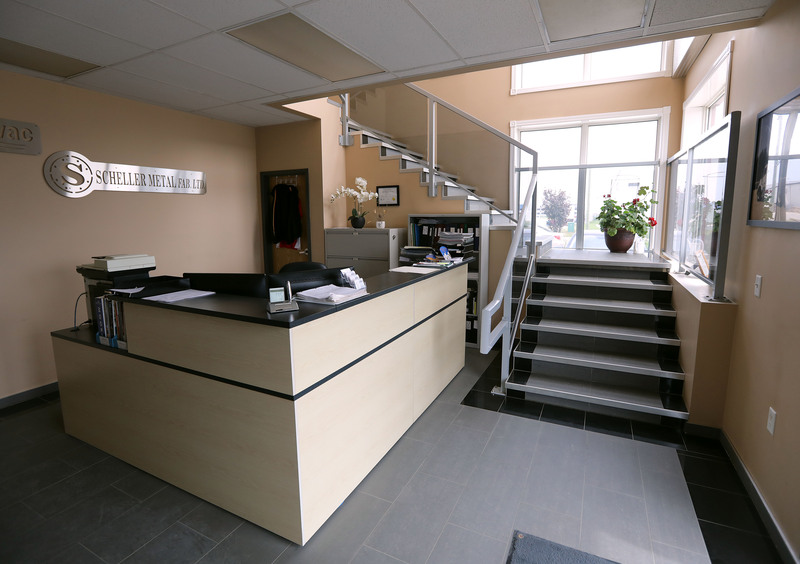 The building also includes a 2 storey interconnect auxiliary space with reception, locker rooms, lunch room and office space. To accommodate fire existing requirements, we designed an exterior steel stair and painted in red to accent the building. For the exterior facade we specified a two toned neutral color metal siding. In contrast, we introduced a bright red vertical accent to the front entrance corner surrounding the large glazing of the interior stair.